Can be delivered Wednesday, 24 April using our Overnight Service if ordered at anytime during the next 2 days, 14 hours and 56 minutes! Ashton has none of the beige or brown grass effect in the bottom. It simply has a pure 4 tone green giving it a fresh grass look. As with all our ranges the Ashton does not require a sand or rubber dressing over the top compared to its rival grasses of the same design. The grass is very popular with smoking areas. large terraces and even play areas. Its tough natural close pile makes it ideal for any heavy domestic use. 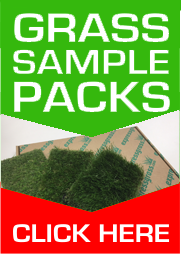 By not offering a fitting service, Express Grass can offer you the very best prices on artificial grass, and we believe you can easily lay your own artificial lawn with a small amount of preparation and a lot of pride.